The Conrad-Caldwell House, sometimes referred to as 'Conrad's Castle', is a magnificent home situated in the heart of Old Louisville at 1402 St. James Court. 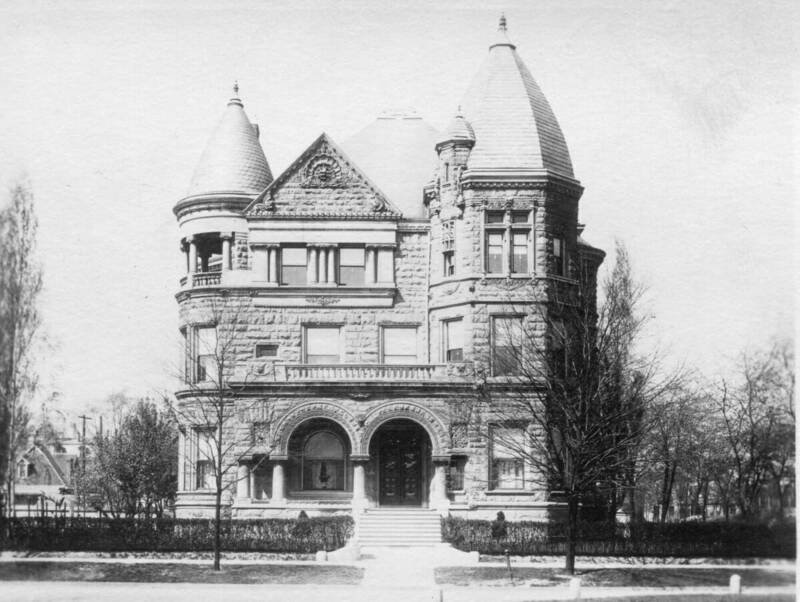 Construction began on the Richardsonian-Romanesque home in 1893. The first family, The Conrad’s, lived there from 1895-1906 while the second, The Caldwell’s lived in the home from 1907-1940. The Conrad-Caldwell House is now a museum, dedicated to preserving the history of both families and is open for guided tours only. The staff and volunteers work daily to ensure The Conrad-Caldwell House Museum is the region's number 1 historic destination and venue. The home represents the Gilded Age Society of Louisville’s elite. Built by famed, local architect Arthur Loomis, the home was one of the first in the area to have such amenities as indoor plumbing and electricity. This comes as no surprise as Theophile Conrad, the first owner of the home, was one of the most prominent businessmen in the entire region. While the next owner, William E. Caldwell, is best known for founding The Caldwell Tank Co., which still operates today. During the guided tours (offered 1 pm and 3 pm every Wednesday-Sunday, with an additional tour at 11am on Saturdays) guests will be able to admire the original woodwork, parquet floors, stained glass windows, as well as the intricate stonework and gargoyles made of Bedford limestone. Along the way, guests will also learn more about the families who called this place home, the surrounding neighborhood, and the history of society in Louisville during the Gilded Age."